I’m a knowledgeable sales associate and the REVEAL system helps me go from good to great. I have really improved my close rates using this system. I have been trained to sell high-end mattresses. We don’t have a big product line but people come to our store looking for specific mattresses and they are well-informed consumers. When I can narrow down the choice based on preferences, I can close the sales by using pressure imaging technology to show them exactly which choice to make. 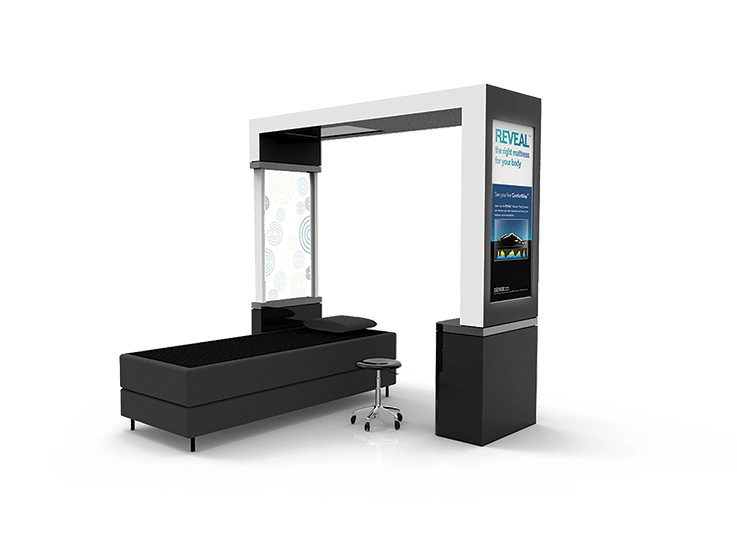 Cost is no longer a factor because they want to buy the right mattress and make the ultimate decision using the technology. There’s no question people respond to technology. Our sales team has more influence with customers when pressure imaging is used in the sales process. Our premium bedding sales have increased dramatically because our customers trust our sales team and the technology involved. We’ve been very pleased with our investment in providing a better experience for customers. The reporting engine that comes with the REVEAL system is also a great tool for sales managers to track conversation rates when the technology is used in the sales process versus when it is not. We have the proof by store and sales rep.
You need to compete on more than price to increase profit in today’s market. Just competing on price and spending money advertising doesn’t cut it. We sell high end mattresses and knew that technology was needed to provide a better sales experience and help customers choose. We start with a prescriptive approach and focus on health and well-being. The REVEAL systems supports this approach perfectly. No more competing on price alone that only drains profitability. Pressure Imaging Technology adapted for mattress retailers and manufacturers. Copyright © 2017 XSENSOR Technology Corporation. All rights reserved.